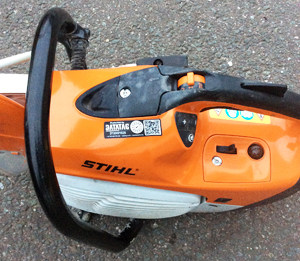 Two heavyweights of the rental sector faced up to each other at a recent plant theft conference and exhibition. In the blue corner (left) was Iain Anderson, joint managing director of GAP Group, and in the red was Asif Latief (right), marketing director at A Plant. Both companies were exhibiting at the Combined Industries Theft Solutions (CITS) forum held at JCB’s world headquarters in Rocester. The event, made up of two half-day conferences and an exhibition, was attended by more than 200 construction industry representatives, 150 police officers and 20 exhibitors. Speakers included a high-ranking official from Interpol, senior police officers and advisers from private companies who warned delegates of a range of threats ranging from professional and opportunistic thieves to the new-wave of ‘cyber-criminals’. Steve Watson, deputy chief constable of Durham Constabulary, applauded the approach of CITS and the industry and said it showed what could be achieved by working together and in partnership with the police. He highlighted the Construction Equipment Association’s CESAR security and registration scheme launched in 2007 which is said to have contributed to a 70% reduction in the theft of larger construction equipment. 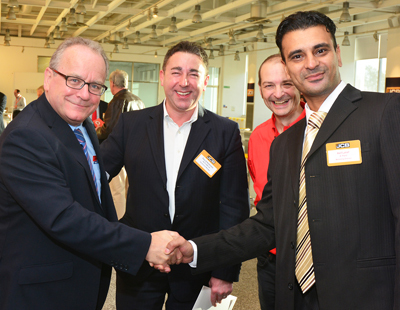 Kevin Howells, managing director of Datatag ID, launched the new Micro-CESAR during the event. Designed to protect small construction and equipment such as power tools, hand-held hydraulic breakers and compaction plates, the system includes a unique RFID tag and a warning/registration label with an integrated QR code.